Set of all primary parts for LiFePO4 setup. 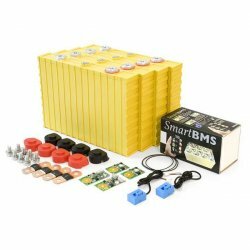 From 480Wh to 8,4kWh at 12V, we have selected all required and compatible parts. LiFePO4 offers near endless scalability, you can expand 12V set with extra cells and BMS units. ThunderSky Winston produce High Power LiFeYPO4 (Lithium Iron Phosphate - LFP) cells since 1998. As the only LFP producer, Winston incorporate Yttrium to enhance the cell temperature flexibility as well as performance overall. Minimal lifetime of 2000 cycles with real experience showing up to 8000 cycles. 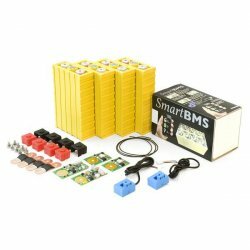 BMS123 Smart is complex yet cheap solution to monitor, manage and protect your LiFePO4 battery pack. With Bluetooth connection to your smartphone or tablet (Android or iOS application for free). Optional Extended module provide easy CAN bus compatibility and 4 relays. 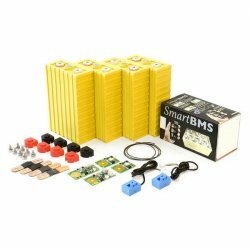 BMS123 Smart is easy to install and does not require additional power supply.